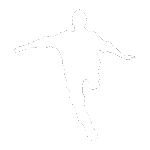 Parkour video "Become a man" from Urban Move Team posted by ofeld. hello! here is our new video which shows what we have made since the beginning of the year. der news-bot bringt mal was gscheits =) na fein fein. sehr sehr geiles video !